Description: Boye Yarn 3 In 1 Needle Gauge Knit & Crochet- One handy tool to help you get great results for all your knit and crochet projects. Check the size of your needles or hooks by inserting them into the holes around the perimeter. 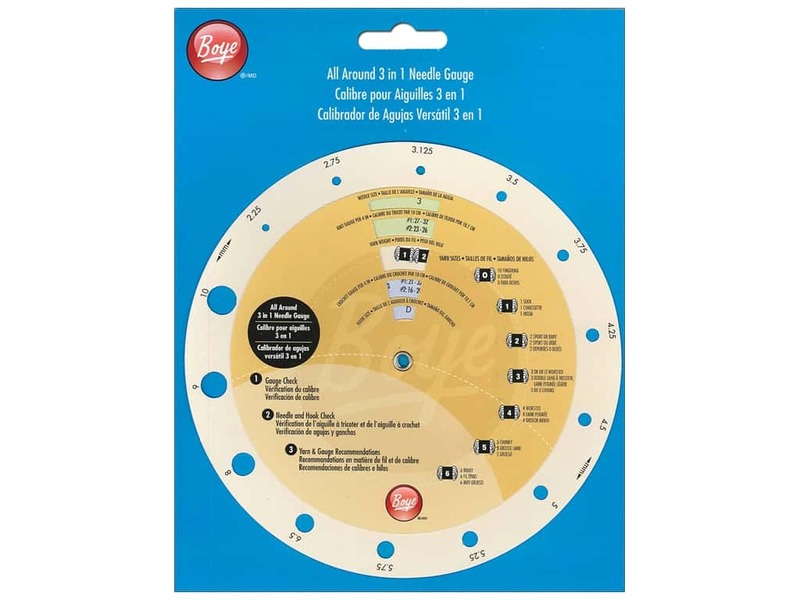 Turn the dial to match your hook or needle size and see the recommended yarn type and gauge.